The following is the announcement from the UWC International Office about the US Executive Order. A change.org petition, drafted by many alums from across the UWC movement, can be found here. UWC – a global education movement with secondary schools in 17 countries hosting students from 155 nations and with over 2400 graduates currently studying at 94 of the most prestigious US universities and colleges – is deeply concerned about the Executive Order “Protecting the Nation from Foreign Terrorist Entry into the United States” and its effects on current and former students and on education in the US as a whole. Founded in 1962 to combat the effects of the Cold War, the UWC (United World Colleges) movement is committed to bringing young people from around the world together to learn to live in peace and mutual respect. 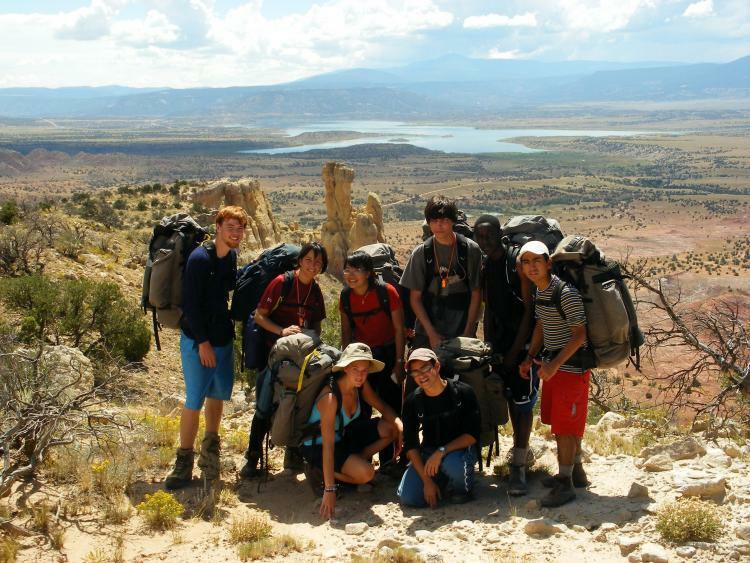 All UWC students are selected independent of their nationality, religious background or socio-economic means and the UWC student body includes a number of refugees – including at UWC-USA in New Mexico. Living in a deliberately diverse community and celebrating diversity as a strength to build mutual understanding and combat intolerance and extremism of any kind is at the centre of UWC’s educational model. UWC is committed to preparing young people to work towards a peaceful and more just world with a view to stopping terrorism and violence. We firmly believe that this can best be done by building bridges and engaging in an education which is based on respect, tolerance and shared humanity. It is our firm conviction that the indiscriminate exclusion of refugees and nationals of certain countries will be counterproductive and potentially fuel further conflict. UWC therefore urges US authorities to ensure that students can safely continue their education in the US independent of their nationality or their refugee status. UWC community members have been exemplary members of US universities, research institutions, NGOs, companies and US society – we hope that they will be able to continue to play this role in the future. UWC (United World Colleges) is a global education movement that makes education a force to unite people, nations and cultures for peace and a sustainable future. It comprises a network of 17 international schools and colleges on 4 continents, a system of voluntary-run national committees in over 155 countries and over 60,000 alumni. Today, 9,500 students from over 155 countries are studying on one of the UWC campuses, including at UWC-USA in New Mexico. Through the Davis UWC Scholars Program, over 2,400 UWC alumni are currently studying at universities across the US. UWC offers a challenging educational experience to a deliberately diverse group of young people and places a high value on experiential learning, community service and outdoor activities, which complement high academic standards delivered through the International Baccalaureate (IB) Diploma. In line with the belief that education should be independent of the student’s socio-economic background and means, 70% of students in their IB Diploma years receive either full or partial financial assistance, based on their needs. UWC International also runs a global Refugee Initiative to enable students with refugee or displaced background a world-class education. For more information visit www.uwc.org or follow us on social media: facebook (@UWCIO), twitter (@UWC_IO) and instagram (@UWC_IO). 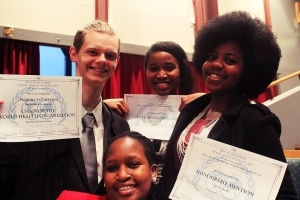 Our Model United Nations has, since the early years of the College, been a significant event and an integral part of the UWC experience. On January 26th the event commenced with Arne Øi from the UN Association West delivering the introductory presentation to the delegates. This was followed by engaging discussions in the eight respective committees, ranging from Counter-Terrorism Committee to the World Health Organization. 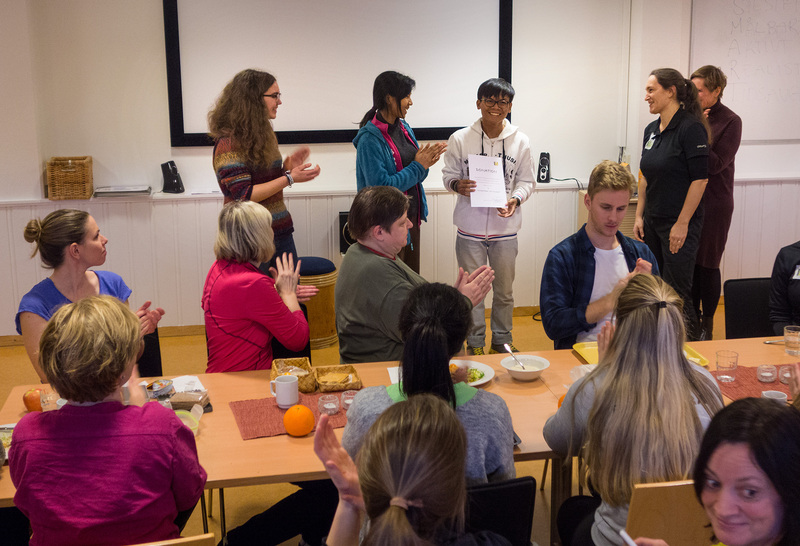 In addition to our first year students, there were eight delegates from Nordahl Grieg VGS and two from the UN Association West. In order to make the experience more exciting, several surprises were planned including drug plants, bomb alert, terrorist attacks and kidnappings. On day two, the committees resolved the first agenda and introduced the second one. The MUN Party was held the following evening. 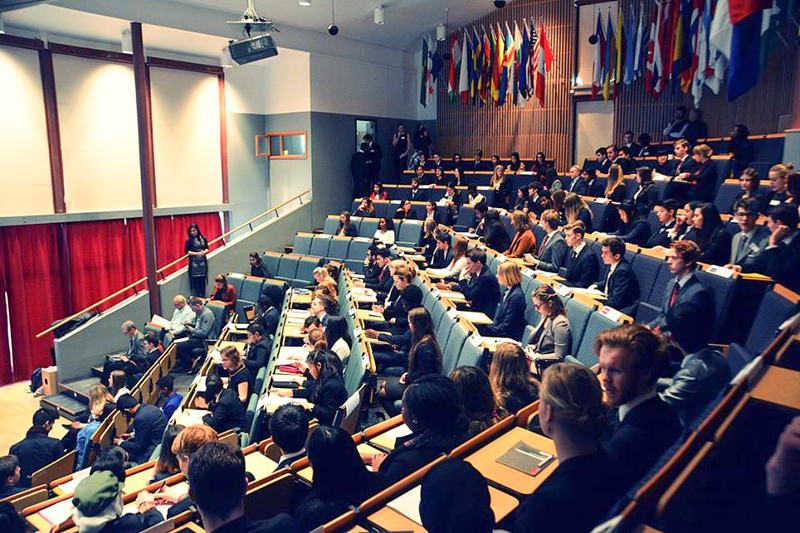 On the final day the General Assembly was held for all delegates representing 59 countries. The agenda was “The world community’s response to extraterrestrial contact”. After hours of stimulating debates, the assembly did come up with a final resolution. Awards were presented and finally a talk show was held to wrap up Red Cross Nordic Model United Nations. There was much to learn about how the UN operates – and it was lots of fun. Some pictures from the event can be found here. Losing my father whilst still a baby, living in poverty with a mentally ill teenage mother, life threw a curve at me at an early age. My grandmother could not afford two daily proper nutritious meals for us, and my uncle – at the age of 10 – had to quit school to earn money so that he could support four lives. This situation became a heavy burden for my extremely poor family – and I ended up in SOS Children’s Villages. I grew up with 10 SOS siblings in a safe and secure environment with a lot of parental care. As a youth I started integrating with the outside society and realized that being brought up in an orphanage you were discriminated against by individuals in society and at school. I also realized that orphans were labeled as lower class and an object of pity. 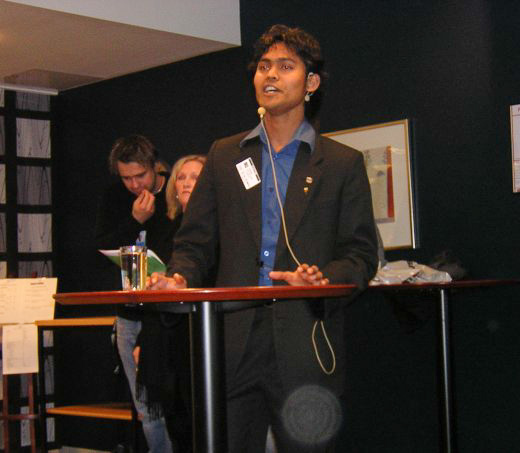 1999 was the start of the next great turn in my life, when I won a scholarship to study at the UWC Red Cross Nordic. Through the ambitious academic education and not the least all informal learning that I was exposed to on campus, the RCN gave me an opportunity to discover my potential and thrive. I now see how important it was that the College so much emphasized mutual respect in addition to all the exciting knowledge that it opened up. Terms like peace, solidarity and sustainability was something I got clear ideas about both in their abstract and concrete forms – something to aspire towards. Life is never without hardship, but after UWC I managed to study in Switzerland, USA and Norway, where I again managed to experience a verity of cultures in a climate of mutual respect. I attained a dual major Bachelor Degree in Business Administration and Hospitality management (BBA) from the Swiss Hotel Management School & Northwood University of Michigan. In 2011, I graduated with an MSc in Hospitality Leadership from the University of Stavanger. During my studentship at different institutes I got involved with students welfare activities and quality education. 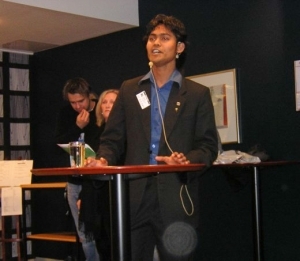 At the university of Stavanger, I served the institute and its students as the President of the International Students’ Union. Prior to joining UWC RCN I worked for SOS Children’s Village Norway as a coordinator in the Relation Marketing dept. and within the hospitality industry in Norway, USA & Switzerland. Using the knowledge and skills learned at UWC, I have later managed to support many of my least fortunate SOS siblings and other youths. I have just started as an Oslo-based Development & Alumni Relations Officer at RCN, and am happy to join the team to advance the kind of education I myself have benefited from. Supporting education and personal nurture is a long term investment that makes individuals become resources for society and enable us to live with dignity. 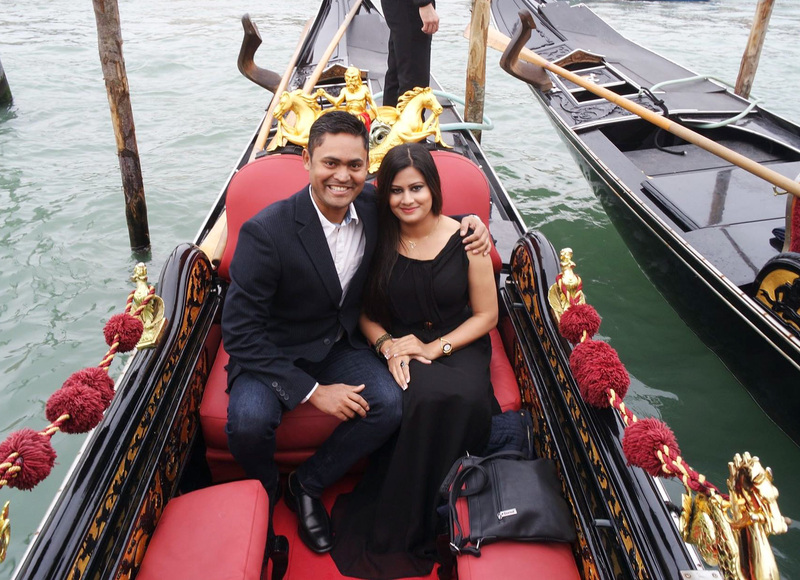 I am excited about the next stage of life with my wife Sagorika Chowdhury in Oslo and look forward to engage with all supporters of our task – to make education a uniting force.